IN THE YEARS FOLLOWING WORLD WAR II, the community of Claremont in Southern California emerged as an important center of art and craft activity, as well as architectural experimentation. Led by the artist and educator Millard Sheets, painters, sculptors, muralists, ceramists, woodworkers, enamel and mosaic artists devoted themselves to their creative pursuits with great imagination and energy, creating works that express the spirit and character of Midcentury Modernism in California. Design for Modern Living chronicles the story of that remarkable artistic community. Several artists who were active in Claremont in the postwar period share their memories of the time and place. They include Betty Davenport Ford (ceramic sculptor), John Svenson (sculptor), James Strombotne (painter), Paul Darrow (collage artist), Harrison McIntosh (ceramic artist), Barbara Beretich (painter and sculptor), and Martha Longenecker (potter). Other artists featured in the documentary include William Manker, Jean and Arthur Ames, Albert Stewart, Phil Dike, Milford Zornes, James Hueter, Jack Zajac, Karl Benjamin, Roger Kuntz, Rupert Deese, Susan Hertel, and Sam Maloof. 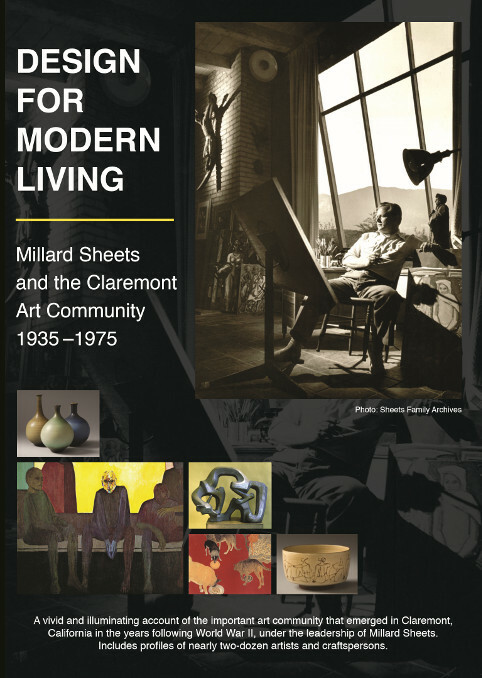 A number of knowledgeable observers provide additional insights into the lively postwar art scene in Claremont, including Tony Sheets, Carolyn Sheets Owen-Towle, Christy Johnson, Harold Nelson, James Elliot-Bishop, and Catherine McIntosh. The documentary was produced by Paul Bockhorst Productions in cooperation with the Claremont Museum of Art. Running time is approximately one hour. Major Funding for Design for Modern Living was provided by The Windgate Charitable Foundation, The Ahmanson Foundation and Howard & Robert Ahmanson, E. Gene Crain, Gerald & Bente Buck, Harrison & Marguerite McIntosh, Tom & Carolyn Owen Towle, and the Family of Helen Bockhorst.